John joined Oakland Rotary in 1993. He has served on the Community, Youth and Seniors Committee, the Kinderprep Committee and the ORE Board of Trustees. 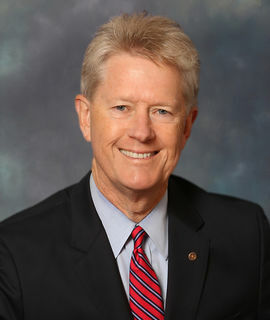 John manages the Montclair District branch of Finance of America Mortgage and has been in mortgage banking since 1981. He lives with his wife, Lisa, in Piedmont. He enjoys serving as a classroom volunteer in an Oakland transitional kindergarten class, music, tennis and travel. He has three grown children living in Portland, OR, Walnut Creek and Oakland. He obtained a BS in Political Science at UC Berkeley, an MA in International Studies at Johns Hopkins School of Advanced International Studies, and an MBA at UC Berkeley Haas School of Business.